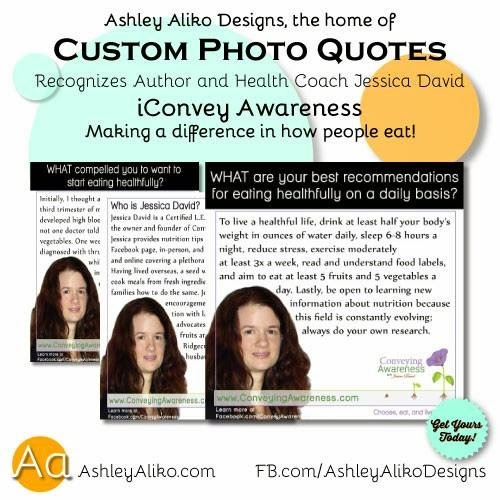 Jessica David is a Certified Health Coach and the owner and founder of Conveying Awareness. Jessica feels that through encouragement we can impart education with lasting results. She advocates for families to eat more fruits and vegetables. She currently lives in Ridgecrest, California with her husband and their son. Introduction to my blog: Importance of Education as originally published on 3/6/2010. "I thrive on learning new things. Right now in this stage of my life, I am learning about nutrition and overall wellness - body, mind, spirit and everything in between. This brings me to the reason of starting this blog. I am educating people about eating better and living healthier. I am learning along the way about unsafe chemicals and toxins found not only in our foods, but in the products we use on our bodies and in our homes. I am not a green mom by any means but who knows... I may be headed in that direction. I want to teach you about how to identify and then remove the ingredients that contributes to rampant illnesses in our nation but first and foremost, fully understanding what is making our nation sick and building up toxicity in our bodies later forming diseases like diabetes, cancers, high blood pressure, etc." 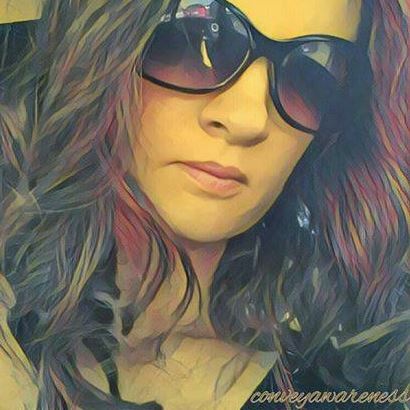 Initially, I thought about my health in the third trimester of my pregnancy in late 2008. I developed high blood pressure and in hindsight, not one doctor told me to eat more fruits and vegetables. One week post-delivery, I was diagnosed with thrush which caused severe pain while nursing. It was at this time in my life that I desired to understand why and how to take better care of my health. A friend loved me enough to continue to share with me that eating more fruits and vegetables will naturally boost my immune system. When I started to incorporate just one or two more fruits and vegetables extra a day, the thrush went away within a week and my long-term issues eventually disappeared. Now I aim to consume 5 of each daily and encourage others to do the same. I moved to California 3 months before my son was born. I began to meet other new moms, many of them taking a holistic parenting approach, a few months after he was born. At this point forward, I felt connected and learned about natural ways to remain healthy. This was important at this stage in my life as I was planning to nurse past 12 months and I wanted to reverse the damage I had done to my body through years of improper eating. I desired a different environment to raise my son. It is a fascinating experience witnessing others bloom into their own awareness of healthy living. We may come from different backgrounds but we’re all headed to a similar place – a life of fulfillment and satisfaction that I believe is founded in nutritive choices. No matter the situation, almost everyone can benefit from eating more fruits and vegetables daily. From a personal stand point, I am a wife and a mother. When I keep an open mind, I have the ability to take my family to new heights along our wellness journey. If I want a different outcome, I must change the way I think about health and wellness – see it; say it; do it; live it! We must create a desire within to learn more. Remind yourself why you started on the journey to personal wellness. There will be some setbacks but there will be far more victories! I am going to keep learning more and I encourage you to do the same. Take baby steps if you must as you will still be moving forward. Don’t compare yourself to what others are doing. 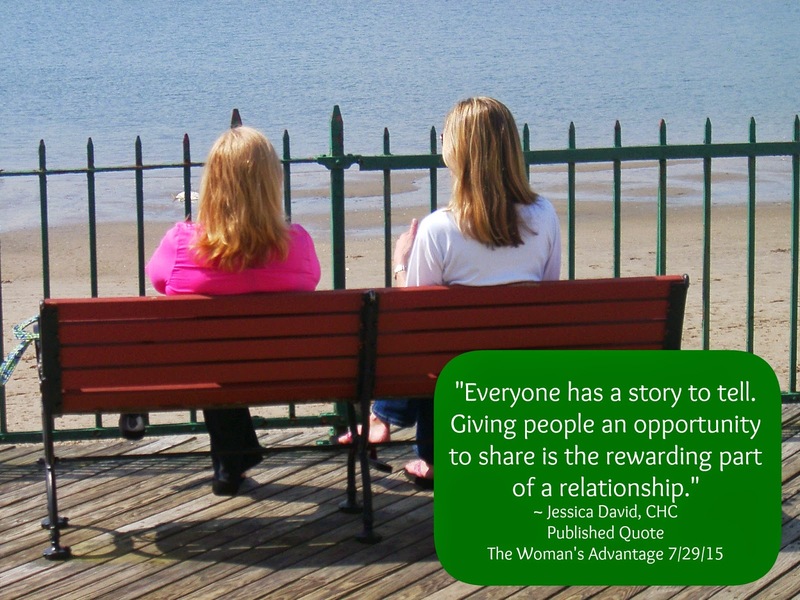 To remain encouraged, find a friend or health coach to link arms with you. You’ll find both in me. 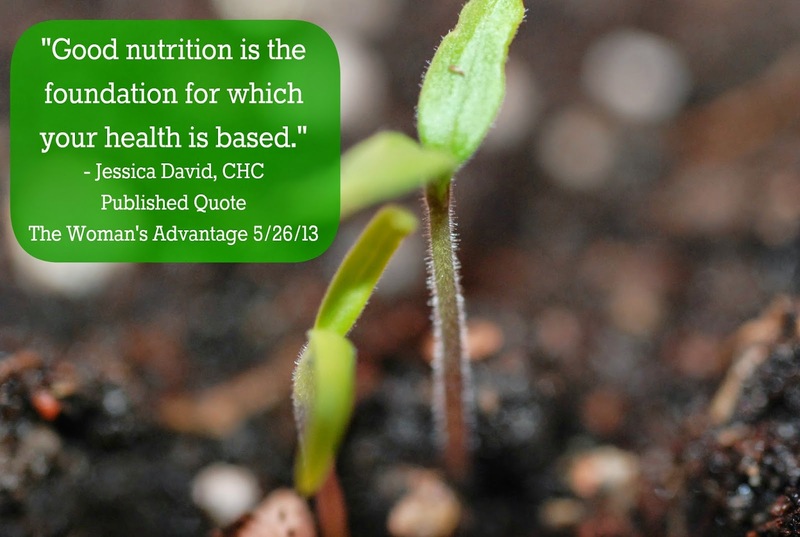 It is my passion to enrich the lives of families through the planting of seeds - tips to live a healthy and satisfying life. 1) Via my form on my blog (on your right). 3) Via private message on my Facebook page. 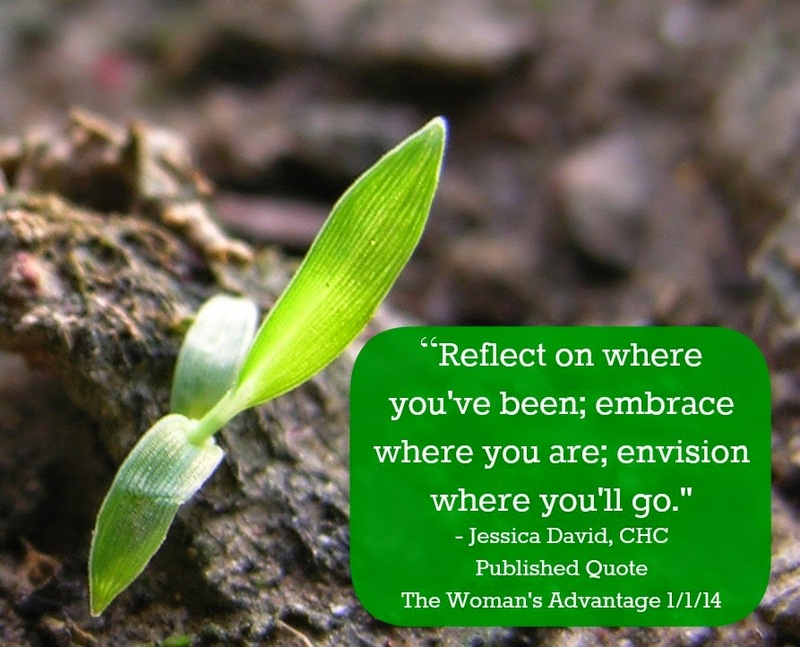 I’m excited that my advice was chosen from over 15,000 submissions to be featured in The Woman’s Advantage Shared Wisdom Calendar for three years in a row: 2013-2015! !